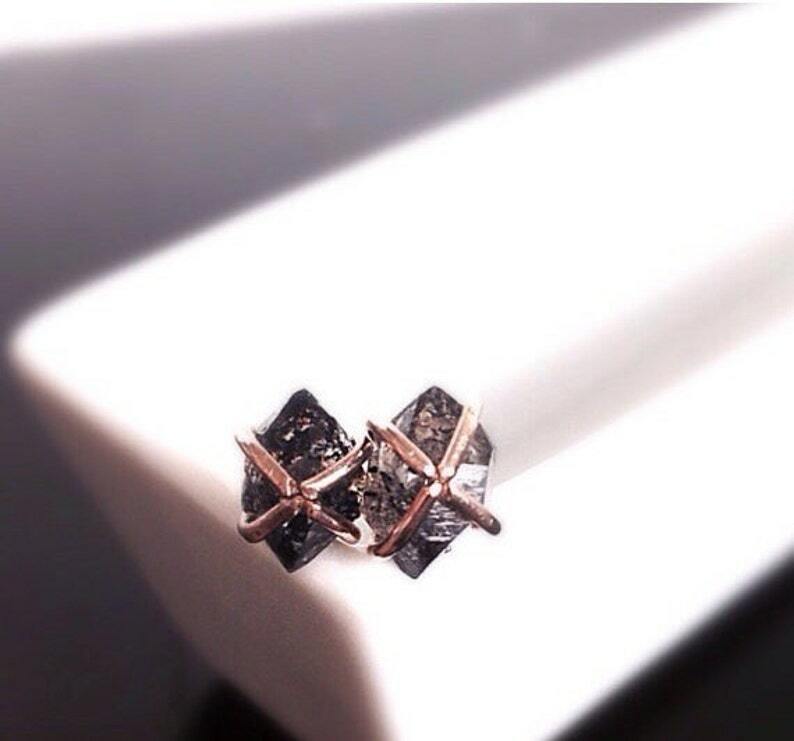 This stunning stud earrings are hand forged 14k gold filled and 14kt Gold filled prong setting. This stud with a perfect Tibetan Herkimer Diamond in a prong setting. Herkimer diamonds are unique quartz crystals. This mineral owes its name to Herkimer County, New York, USA, the principal place where it is found. The small, double-terminated crystals are short and stubby, formed in a hard rock matrix giving them their strength. The Tibetan Quartz from Tibet that is sometimes clear but is usually grayish clear due to the amount of carbon and hematite in the areas where they are found. Measure: 10mm x 7mm approx. This earrings is hand cut, fired, shaped, hammered and polished! Gold filled components contain 100 times more real gold than gold plated components and are very durable and tarnish resistant. Gold filled jewelry is a beautiful, affordable alternative to solid gold, and can be worn by people with sensitive skin. The picture doesn't capture how absolutely beautiful these earrings are. I could not be happier with this purchase. My mom loved these earrings and we received them just in time for Christmas which was awesome! Thank you very very much for doing that on a short notice!